We have been giving new impetus to end-of-line pharmaceutical and cosmetic packaging for more than 45 years. pester pac automation stands for innovation and the development of intelligent cutting-edge machine concepts from film wrapping and case packing through to palletizing. Today, pester pac automation ranks among the leading companies in this sector. 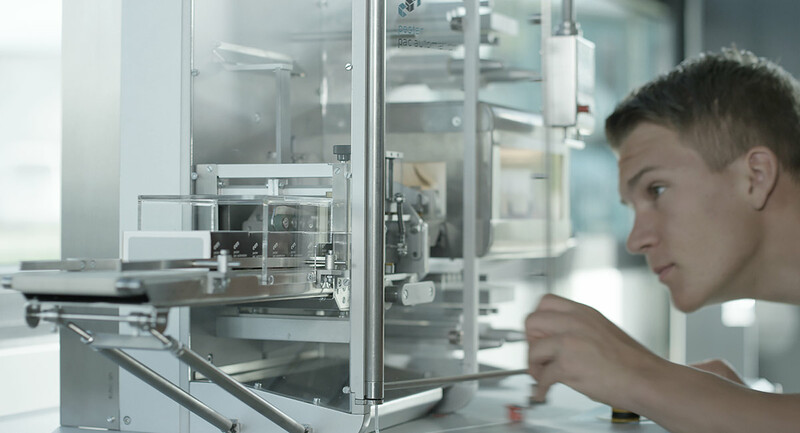 Over 8,000 Pester machines and lines are proving their intelligence daily at multinational companies in the pharmaceutical and cosmetics industry around the globe. Customers all over the world appreciate the high quality of our machine program. 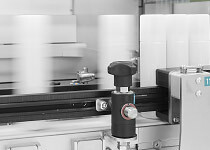 Pester machines convince on account of their superior quality, outstanding performance and economical life-cycle costs. Individual service, customized engineering and tailor-made turn-key solutions demonstrate the leading-edge of our technology. What makes Pester stand out? The unique quality of the relationships we maintain with our customers, partners and suppliers. Worldwide, some 700 employees, eight subsidiaries and 35 representatives in 80 countries are all part of a dynamic network whose only objective is to provide our customers with the optimum packaging process. Worldwide, some 700 employees, eight separate sales and service companies and 35 representatives in 80 countries are all part of a dynamic network. This is how we guarantee close relationships to our customers and individual on-the-spot service all over the world. Welcome to our corporate head office in Wolfertschwenden in the heart of the Allgaeu, Bavaria. The modern administration and production facility received an award for its architecture and sustainability in 2001. Our customer service, parts manufacturing and center for trainees are also located in close vicinity at four different sites. Our Business Unit pester cosmetics relocated to new premises in 2017. Based at Tägerwilen, pester ag Switzerland has been supporting the international focus and global marketing activities of pester pac automation GmbH since 2006. We are the direct contact persons for customers in Austria and Switzerland. With our own sales and service subsidiary in Allendale, New Jersey, we have been catering for the American market since 1998. Currently, 14 specialists attend to the needs of our customers in North America, Canada and Puerto Rico and vouch for the quality standards of Pester worldwide. Our own spare parts depot warrants fastest availability and reliable service. Over 1000 Pester units and lines in operation all over the USA prove our customized technology. We have been catering for the French market with our own sales and service subsidiary since 1998. At present, 5 specialists attend to our customers' needs in France and vouch for the quality standards of Pester worldwide. Our own spare parts depot warrants fastest availability and reliable service. Over 500 Pester units and lines in operation all over France prove our customized technology. We have been catering for the British and Irish markets with our own sales and service subsidiary near London since 2004. At present, 6 specialists attend to our customers' needs on site and vouch for the quality standards of Pester worldwide. Our own spare parts depot warrants fastest availability and reliable service. Over 600 Pester units and lines in operation all over Ireland and the UK prove our customized technology. We have been catering for the markets in Belgium, the Netherlands and Luxemburg with our own sales and service subsidiary since 1997. Some 200 Pester units and lines locally in operation prove our customized technology. Pester China has been catering for the Chinese market since 2004. Our own sales and service company is located in Shanghai. At present, 15 specialists attend to our customers' needs on site and vouch for the quality standards of Pester worldwide. A separate spare parts center provides fast availability and a reliable service. Our customers include renowned companies in the pharmaceutical and healthcare industry. With our own branch office in Bangkok, Thailand, we have been catering for the markets in South East Asia since 2004 and vouch for the quality standards of Pester worldwide. Innovation is our strength. Therefore, through intelligent technology, highest performance and increased operation comfort our machines help you to pack your products globally in a more efficient and easier way. You benefit from the state-of-the-art technology in end-of-line packaging. Each machine stands for top quality, a unique design and excellent service. Your success is our number one priority. We develop long-term partnerships for you and our partners. Hand in hand, we generate tailor-made solutions for you. You are not alone. Wherever you are in the world, we are close at hand. We achieve this through global presence and a network of experts from different cultures and countries. We can meet our customers' needs in all markets. Experience our uniqueness. Be inspired by an open and creative corporate culture. Our highly motivated employees make all the difference. Your wish is our inspiration. Each Pester machine is unique. Powered by your desire, we create the individual top performance you want! For more than 130 years a family-owned company, pester pac automation stands for tradition throughout time. Decades of experience in German engineering warrant your investment security. Permanently striving to achieve value enhancement for our customers and ourselves is our intention. This has been giving us the freedom to continue our tradition and live the Pester spirit for 130 years. 1. Our customers' long-term success and happiness. 2. Our employees' lasting enthusiasm. "Inspired by technology" - our innovative strength creates long-lasting values for our customers and environment. Achieving solid corporate growth through sustainable development is our commitment. Our comprehension of trendsetting sustainability is to promote economical, ecological and social responsibility. With this in mind, we develop innovative and future-oriented packaging solutions by using our resources responsibly and placing emphasis on sustainable processes. Exceptional relationships with our customers, employees and business partners characterize us as a long-term trusted partner. As a family-owned company in the 4th generation, social responsibility enjoys high priority at Pester. We are Alliance Member of the Sustainability Initiative Blue Competence. Blue Competence (www.bluecompetence.net) is an initiative of the VDMA (www.vdma.org) for promoting and communication of sustainable solutions for the Mechanical Engineering Industry. By using the trademark "Blue Competence", we commit ourselves to these twelve Sustainability Guidelines of the Mechanical Engineering Industry. Our customers' happiness is our goal. Quality is the main focus in all of our activities, and the basis for our long-term corporate success. As the leader of technology in end-of-line packaging, it is our responsibility to inspire our customers with packaging machines and lines that incorporate the latest technology and the highest quality. Reliable products, outstanding services and efficient processes are all part of our company's quality standard. Our goal is their constant improvement to ensure our customers' continual success. Sustainable management, environmental protection and preservation of natural resources paired with our commitment to social, health and ethical responsibilities are our top priorities. Long-term relationships with our customers, partners, suppliers and employees are the foundation of our success. The active participation of all our employees in our quality management system ensures Pester's sustainable growth. Promising quality at the highest level through DIN ISO 9001 certification. In our company, we have established a quality management system that secures continuous improvement. Our products, services and processes are continually reviewed for improvements. Our quality management system was established in 1996 and is certified in compliance with DIN ISO 9001. The objective of the AEO certification is to ensure supply chain security from the manufacturer of a product, to the end consumer. An Authorized Economic Operator is reliable and trustworthy. An operator with the AEO status is authorized to simplifications with regard to customs regulations and/or benefits at safety-relevant customs controls. The applicant proves its proficiency and diligence regarding compliance with the customs provisions. The company proves its compliance with customs safety factors to logistical and administrative procedures. The company fulfils all requirements that have been stated in the AEO-C and AEO-S options. pester pac automation GmbH is AEO-F certified. 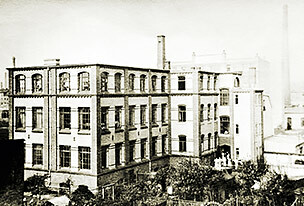 Emil Pester Platinenfabrik is founded by Emil Pester in Chemnitz, Saxony. 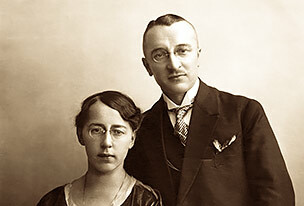 At the age of 30, Karl Hermann Pester joins his father's company as fellow partner. Registration of the company Pester in the commercial register. 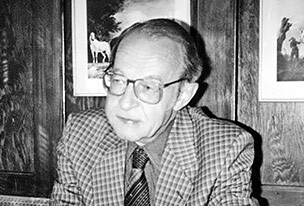 Founder Emil Pester dies after a long illness. 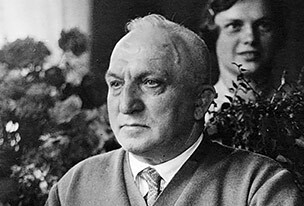 After his death, Karl Hermann Pester takes over the company in the second generation. During the air raids, the factory in Chemnitz is severely damaged. Karl Pester, the founder's grandson decides to build up a new site in the western part of Germany. A search is initiated to find a location in West Germany. Käthe Pester, Karl's sister discovers an empty factory building during a trip to Allgäu. Death of Karl Hermann Pester. 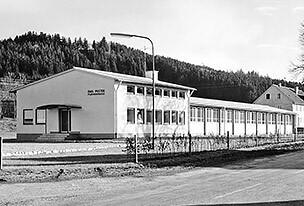 In 1951, his son Karl Pester starts production in the factory building at Wolfertschwenden. Occupation of new factory in Wolfertschwenden. Production of die-cut sinkers is launched. Birth of the first stretchbanding machine. Entry in the packaging industry with the newly developed stretchwrapping machine. 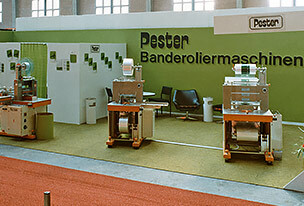 Pester exhibits the first packaging machine at Swiss Pack, Basle. The development of the first overwrapping machine broadens the production program. Thomas Pester joins the company and takes over the management of the company in the fourth generation. Case packing units complete the machine portfolio. Pester expands its machine program by the tray packer. The long-standing company owner, Karl Pester, dies on April 2. 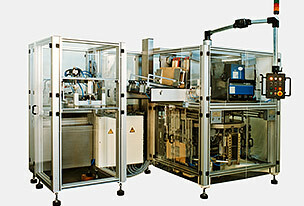 Development of most compact end-of-line packaging cell which integrates stretchwrapping, case packing and palletizing. Development and patent application of first cantilever-style case packing unit. 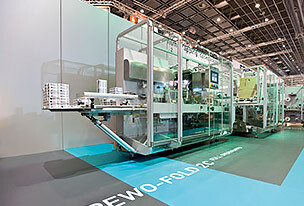 Pester presents its PEWO-pack, PEWO-fold and PEWO- form machines at Interpack in a new design: from film wrapping and case packing through to palletizing. Foundation of subsidiary Pester Benelux. Foundation of Pester France in Honfleur and Pester USA in New Jersey. Official inauguration of new production and administrative center in Wolfertschwenden on May 19, 2001, winning an award for its architecture and sustainability. Introduction of new corporate design. 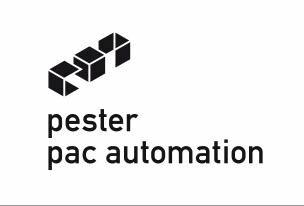 The modern company logo "pester pac automation" stands symbolically for the company's evolution to an international full-service provider. 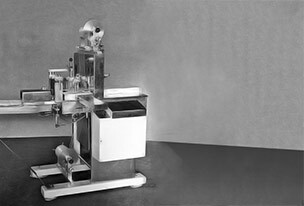 Patent application for newly developed splicer with fully automatic film reel change on all film packaging machinery. 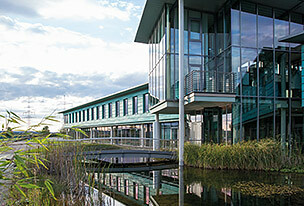 Foundation of sales and service subsidiary Pester UK near London. Development of new service programs. Customized range of services. Interpack: presentation of a new machine generation in modular design. Presentation of new modular top loading concept. Introduction of "pac robot" pick and place robot generation. 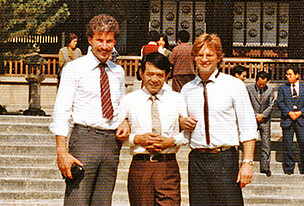 Foundation of Pester Asia with its headquarters in Bangkok and Pester China with its headquarters in Hangzhou. 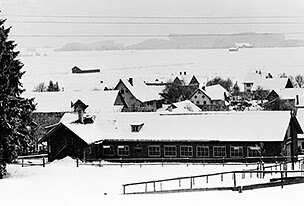 Foundation of subsidiary Pester Switzerland with its headquarters in Tägerwillen, Switzerland. First track & trace solution for the biotech industry. Dual-lane stretchwrapper processes 100 bundles per minute. Pester celebrates its first "Family Day" with all its employees. 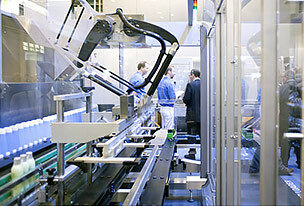 Interpack: intelligent robot cell for palletizing/depalletizing. Consistent track & trace system for pharmaceutical lines. Compact case packer for small loads. Full overwrapping machine for single cartons with 120 cycles. Pester France under new management - relocation from Honfleur to Caen. 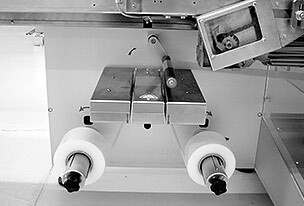 Development of a full overwrapping machine for high-end cosmetics packaging: PEWO-fold C120 and PEWO- fold C60. New customer and service center: Pester USA moves to new premises in Allendale, New Jersey. Pester celebrates second "Family Day" with all its employees. Development of high-speed line for tube packaging. Expansion and modernization of own component production at first company location in Wolfertschwenden. Relocation of Pester China from Hangzhou to Shanghai. Acquisition and expansion of new production and administration building at company headquarters (Unit 3). 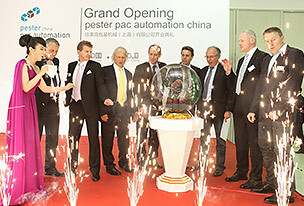 6 June 2013: official inauguration of Pester China's new production, sales and service subsidiary in Shanghai. 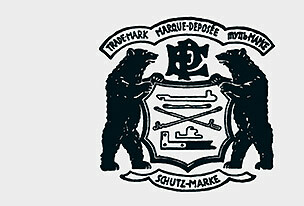 The family-owned company celebrates its 125th anniversary. 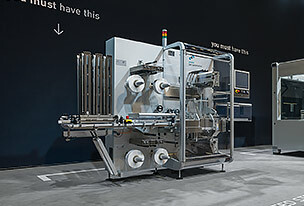 Interpack: high-speed stretchwrapper with 80 cycles. Sustainable stretch bundler for heat sensitive products. Side-loading case packer and palletizer with smallest footprint. 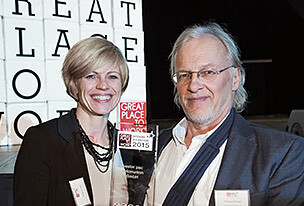 Pester receives Great Place to Work Award ® as best employer in Allgäu. Pester receives Great Place to Work® award as one of Germany's top 100 employers. Expansion of production hall at company's headquarters in Wolfertschwenden. 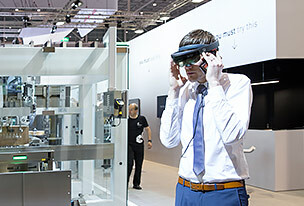 Interpack: Digital & Human - new HMI with interactive 3D visualization. Pester presents new machine generation in modern column design. Launching of new Business Unit Organization. Business Unit pester cosmetics relocates to new premises.